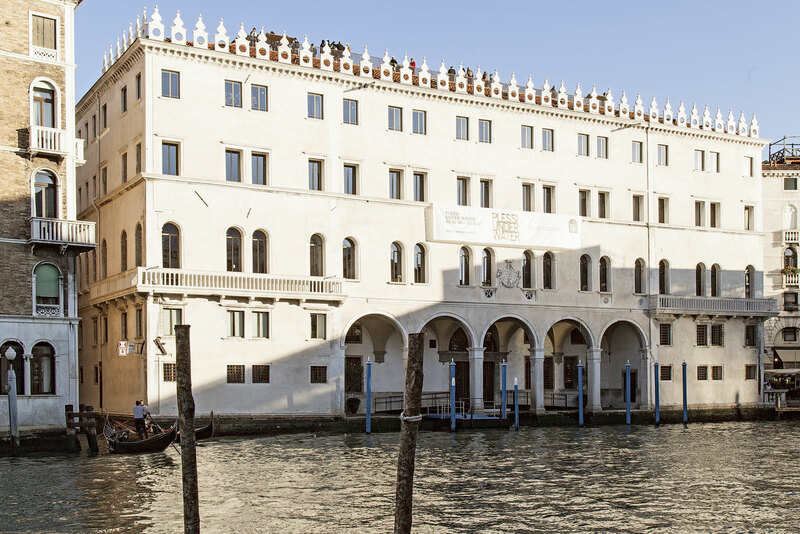 Fondaco dei Tedeschi in Venice, the historical palazzo overlooking the Grand Canal, with a marvellous view of Rialto Bridge, has started a new and glamorous life thanks to the renovation effort led by the Dutch architect and urban planner Rem Koolhass and to the interior design by the British architect Jamie Fobert. 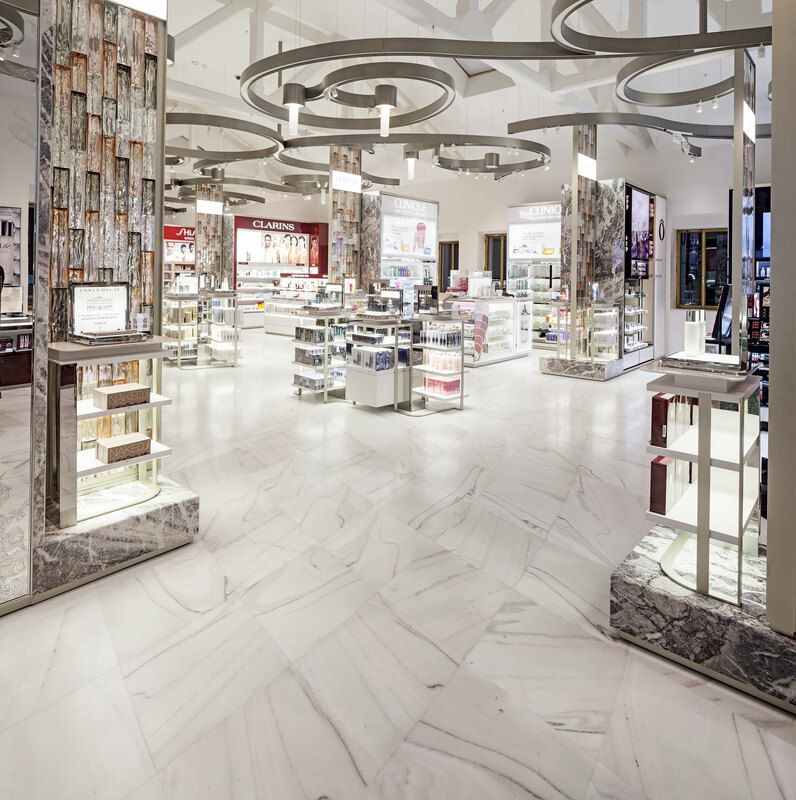 The commercial spaces of the Beauty area on the third floor are now enhanced with fine Margraf marbles. 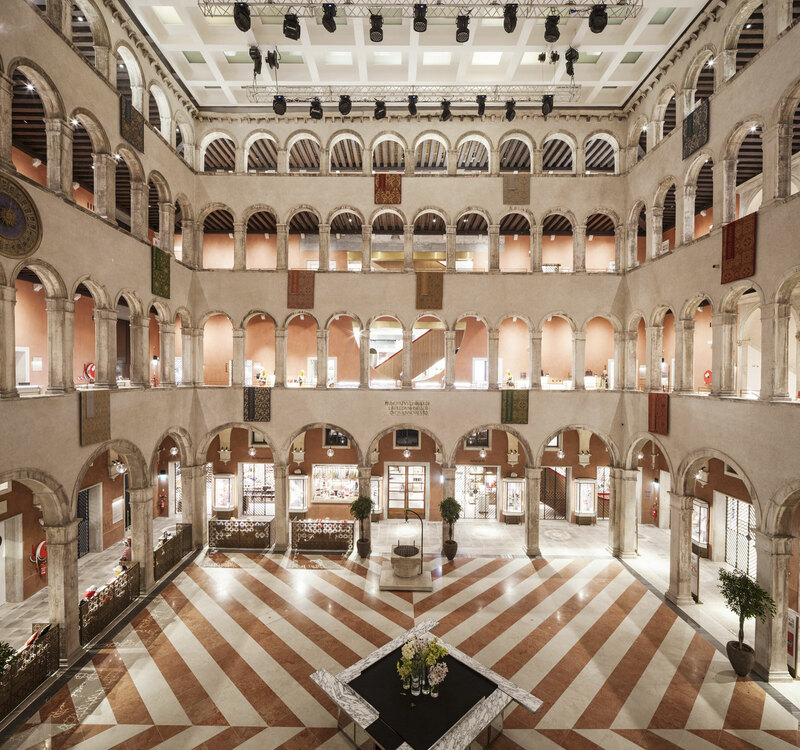 Built in the 13th century, it has always played a central role in the cultural and commercial life of Venice: it was a trading post for goods from German markets. It was destroyed by a devastating fire in 1505 and rebuilt in 1508, becoming an iconic landmark of the lagoon, with priceless frescoes by Giorgione and Titian, of which unfortunately few fragments survive at Cà d’Oro. 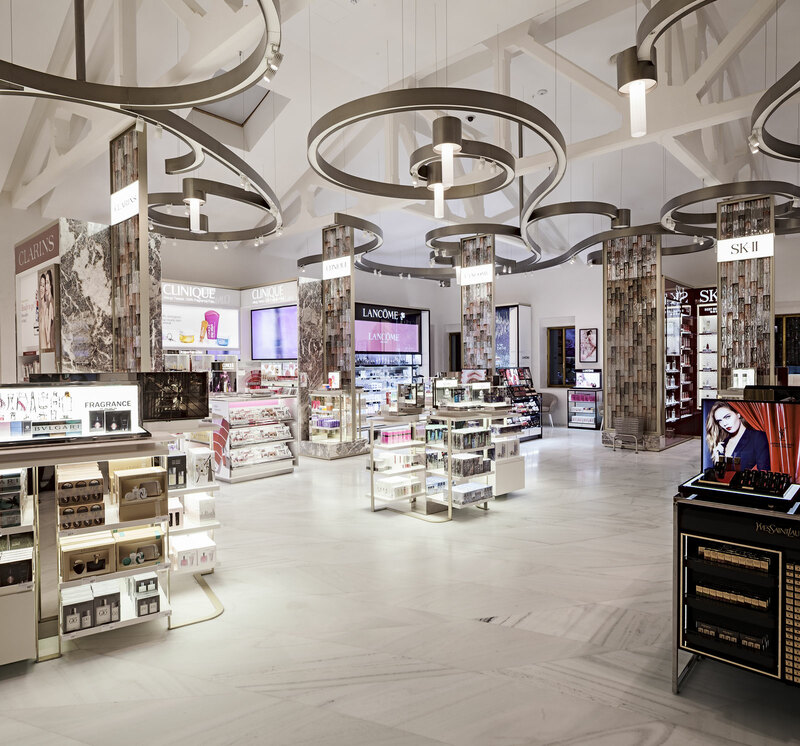 More recently, it was first a post office and now it is managed by DFS, a world leader in the sale of luxury products. 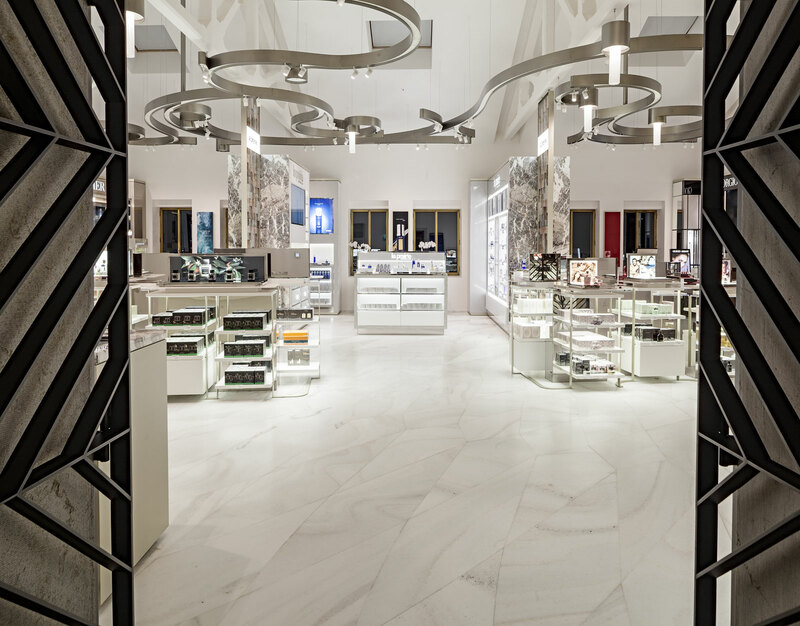 After a previous collaboration in the renovation of Burlington Arcade, London – the historical mall in the British capital – the architect Jamie Fobert chose to use 700 sqm of Margraf polished Bianco Laser marble, cut to measure, for the entire Beauty area on the third floor, for this prestigious project. 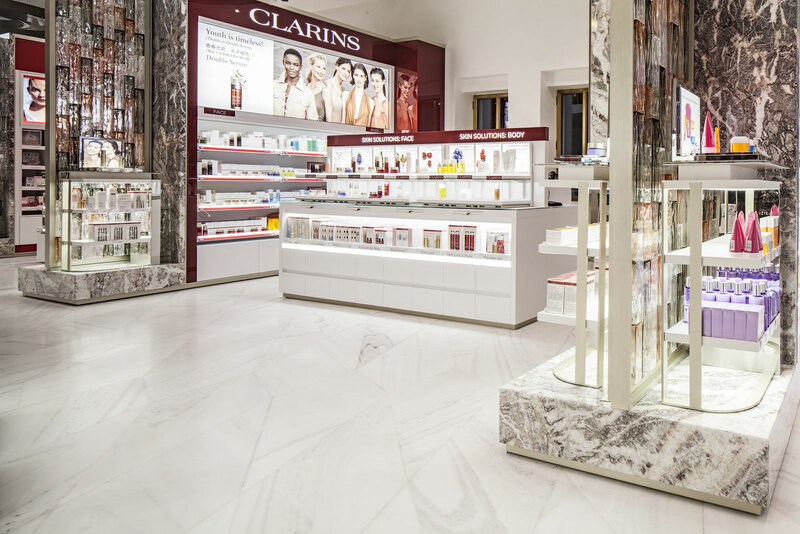 The commercial area also features bases and pillars made of Fior di Pesco Carnico (a marble of which the company has the only existing quarry in the world), whose shades of grey, pink, and white match perfectly with the adjacent glass elements. 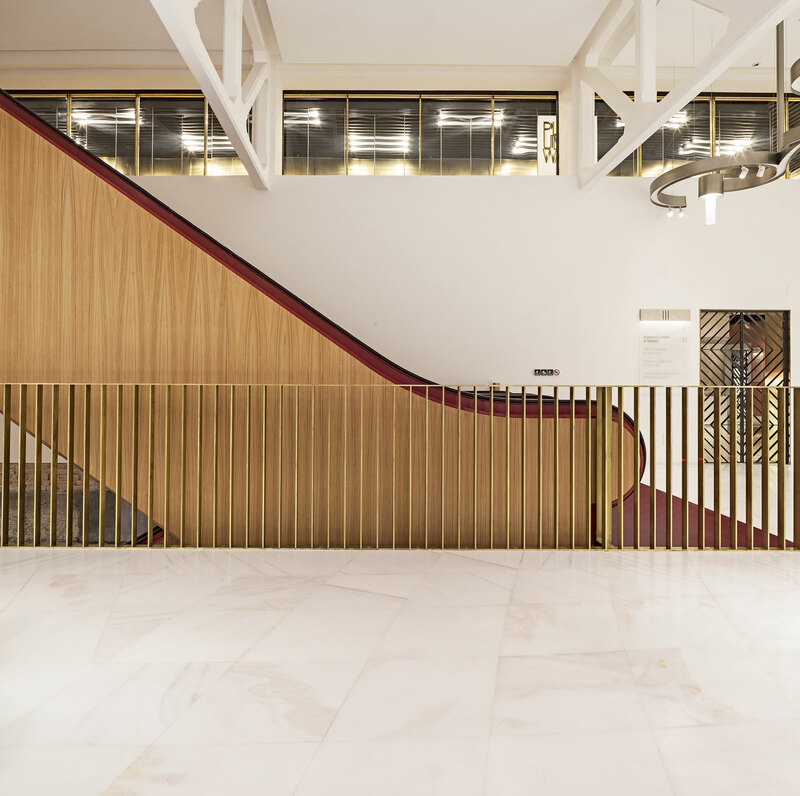 Another interesting Margraf creation can be found on the ground floor with the renovation of the original flooring using 200 sqm of antique-finish blocks of Fior di Pesco Carnico. Extracting marble from its quarries, transforming the rough blocks into fine polished slabs or small tiles, offering a wide range of top-quality materials, selecting them from hundreds of different types of stone and shaping them with cutting-edge technologies: these are the distinctive features that have allowed Margraf to become a leader in the industry. 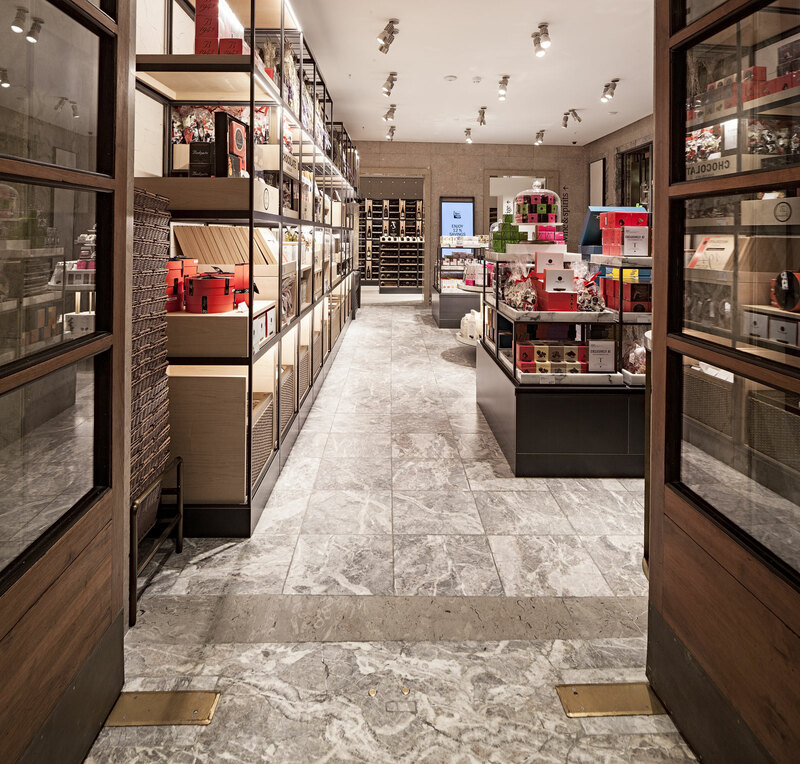 Past and present go hand in hand in a company that is among the protagonists of the history of international architecture and that continues to be an extraordinary pioneer in interpreting the latest trends in design and building. Other contractors: Sacaim SpA (general contractor) and Linea Pavimenti (for the laying of the marble).